This 3-level townhome in Capitol Hill hits the market tomorrow, boasting a Walk Score of 92 with easy access to 4 different Metro Stations — Nationals Park, SW Waterfront and Eastern Market. 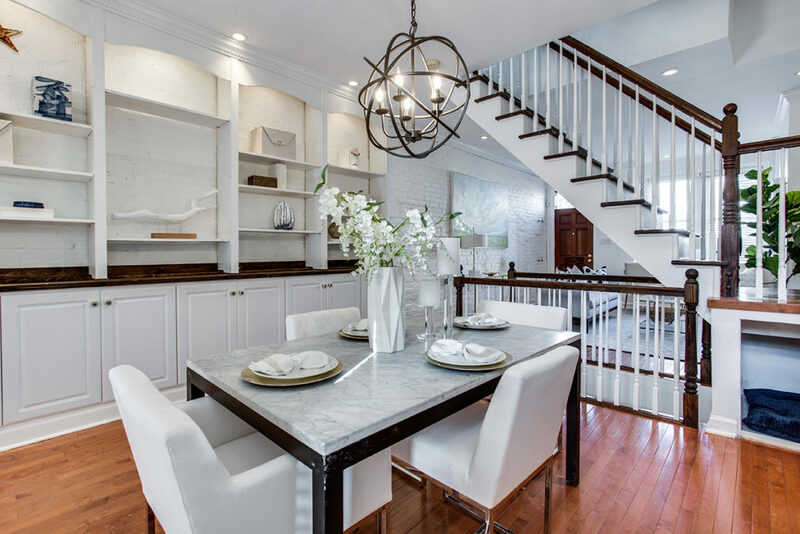 The home’s open floor plan on the main level allows for an abundance of natural lighting from the living room to the stainless steel gourmet kitchen, with an open staircase taking you to the 2 bedrooms upstairs. The master bedroom features exposed brick, a chandelier and a large closet along with a beautiful shared bathroom with a large walk-in shower, a freestanding tub and his & hers vanities. The home also comes with a fully furnished lower level rec room as well as a rear deck accessible from both the kitchen and second bedroom. To probably no one’s surprise, the Most Expensive Home of the Week is another massive 2-level penthouse condo at the Ritz-Carlton with almost double the amount of bathrooms than it has bedrooms at 3 BR/5.5 BA. 3 BR Petworth row home is tenant-occupied and being sold as an AS-IS estate sale, meaning it will need some updating to bring it into this century. Your REO/Bank-Owned Property of the Week is a 3 BR detached “stunning renovation of this spacious Washington D.C. House” in Deanwood at a great price.